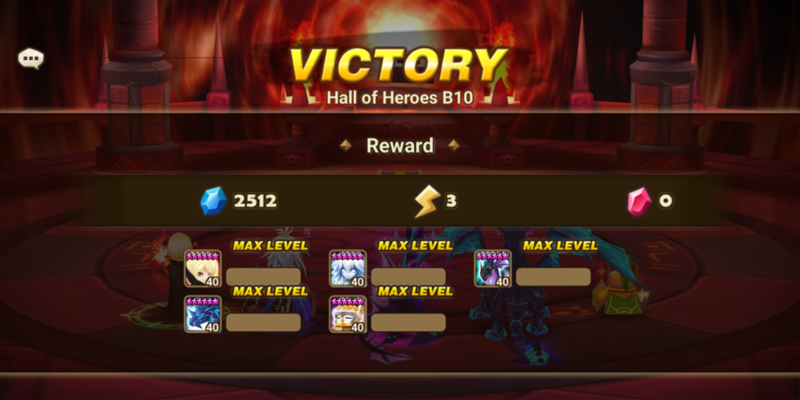 Fire Horus (Duamutef) – November 2018 Hall of Heroes and Clearing B10 Guide! Duamutef, the Fire Horus is the Hall of Heroes monster for the month of November 2018! 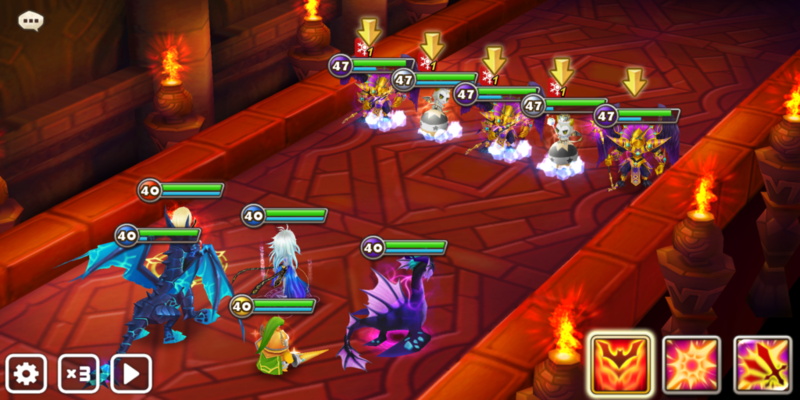 Don’t miss out as we give you tips on how to clear all floors. – Clear the Hall of Heroes and gather Summoning Pieces to summon a 4★ [Horus] (Fire). The Hall of Heroes is a very difficult dungeon, where you can collect high grade monsters. Newcomers and lower-level Summoners, beware! This month’s Hall of Heroes (HoH) features Fire Horus (Duamutef) who is mainly a skill-up fodder to its family, more particularly to Dark Horus (Amduat). What more can you ask for an easier HoH? — because this time around all the enemy waves don’t have any immunity, which translates to a feast for Crowd Control (CC) and Continuous damage/DoT teams. Since there are monsters in this HoH that are quite sneaky in getting turns and are capable of killing your monster with 1 shot, the key is to use an ATB reset monster like Baretta to completely shut them down while the rest of your CC team follow through the disarm. Another huge factor is using CC monsters that are capable of AoE ATB reduction like Water Homunculus or Spectra to counter stages 4 and 5. Based on speed tuning and calculation, to guarantee a first team turn your units must have ~220 SPD (total including Lead and Tower bonus). 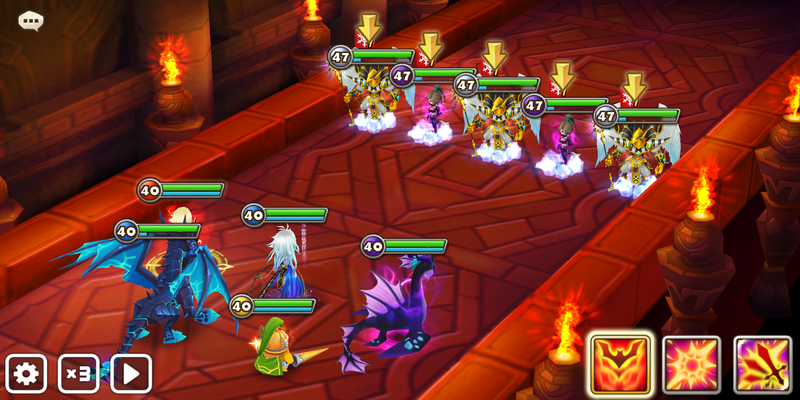 To guarantee safety, monsters should have around 20k HP and at least 700 DEF to survive a the majority of enemy hits. Overall difficulty is 7/10. 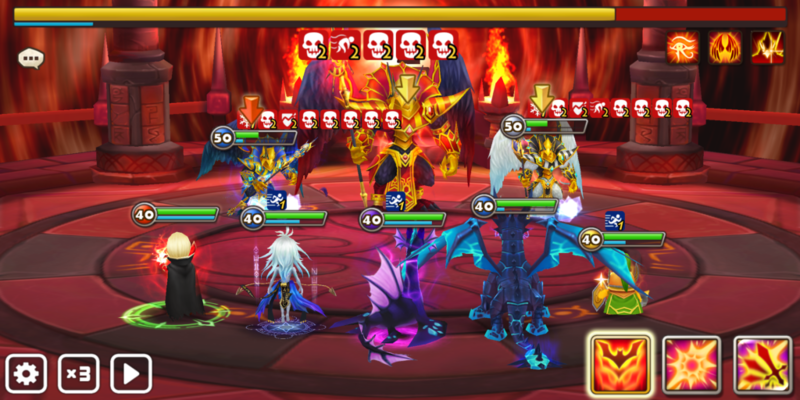 Clear all 10 floors and get 250 summoning pieces (5 summons) of Fire Horus! Stage 1: Using squishy water monsters can be a disadvantage due to Wind Anubis’ passive skill. Water Homunculus is still a viable option because it has a revive skill so just make sure to finish the monster wave before the revive effect ends. Timing is important. One trick to counter Wind Anubis is to use an ATB booster (Example: Verdehile) to fill up all of your team’s attack bar to ensure they get to attack next, so killing Wind Anubis during that moment will let you finish all the attacks in sequence before Wind Anubis gets to attack. This non-immunity wave makes it easy for your CC team to kill Water Horus. 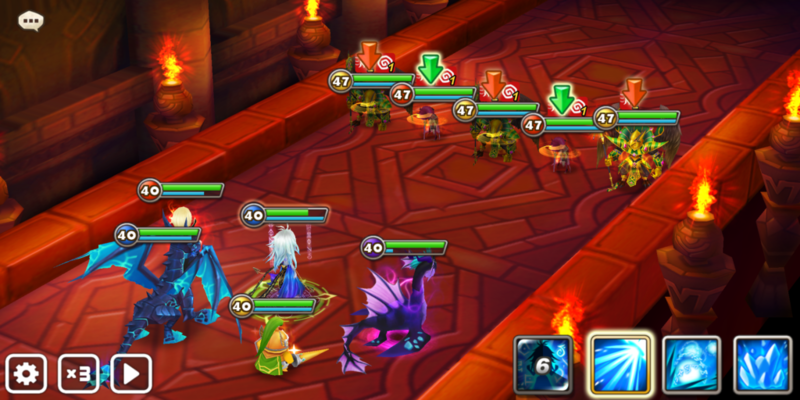 Stage 2: It is important to lock down Fire Magic Knight with stun/freeze. When you start to output damage, kill her asap since her SPD increases as HP gets lower. She can deal fatal damage given the chance to attack so watch out! Stage 3 (Mini-Boss): Again, constant Crowd Control is key. Do not let Fire Occult Girl move because she can hit in succession and create combos to wipe out your team. It is also important that you bring a cleanser in case any of the enemy units get to attack an inflict debuffs on you. Controlling Water Nine-Tailed Fox is also beneficial because her 3rd skill can remove debuff on Fire Occult girl. Stage 4: ATB reset or a high ATB reduction on your 1st turn is important to control and counter Dark Horus’ 3rd skill because each time you gain a turn will increase its ATB by 15%. AoE ATB reduction from monsters like Spectra is ideally good to also prevent Light Brownie Magician from applying DEF Break. Stage 5: This stage can also be countered with a first turn Crowd Control (Example: Water Homunculus’ AoE ATB reduction, or Verad’s Absolute Zero). Do not let Dark Assassin get a turn because she has the potential to kill once she gets an attacking turn. 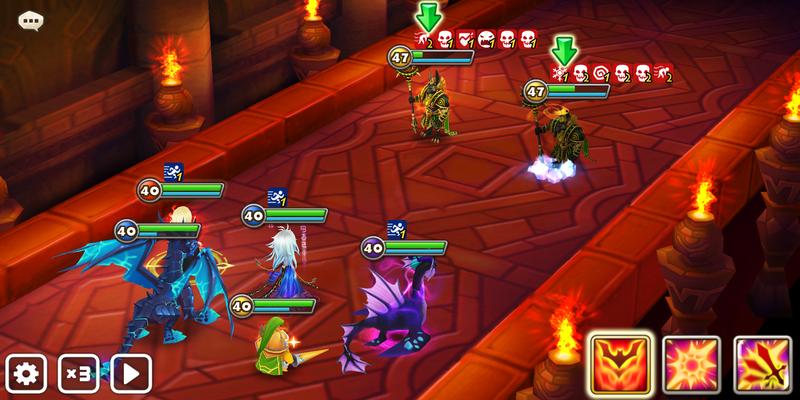 AoE ATB reduction is a must to counter Light Horus’ passive skill. Stage 6: Boss has little threat in dealing fatal damage especially if you have a wind monster that can tank a little chunk of damage (Mav with at least 22k HP). 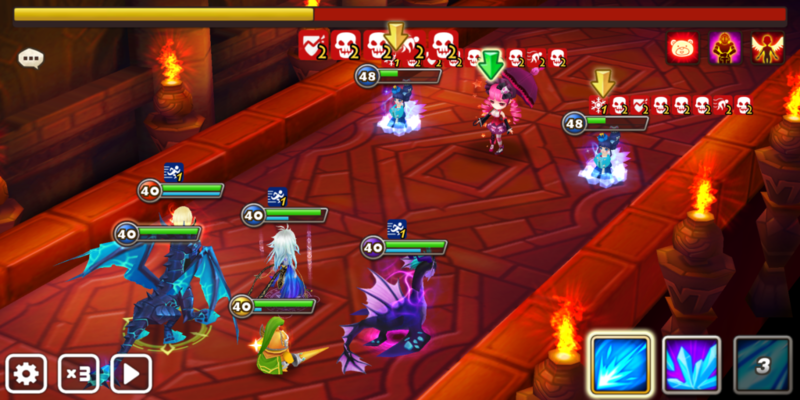 Use CC and DoT to clear this final stage since HoH boss can still be affected with Continuous Damage, Freeze, and Provoke. What are your thoughts about Fire Horus? What team do you use for Hall of Heroes? Please feel free to comment below!